So you’ve bought yourself a quality whey protein powder – now what? I see it all the time. 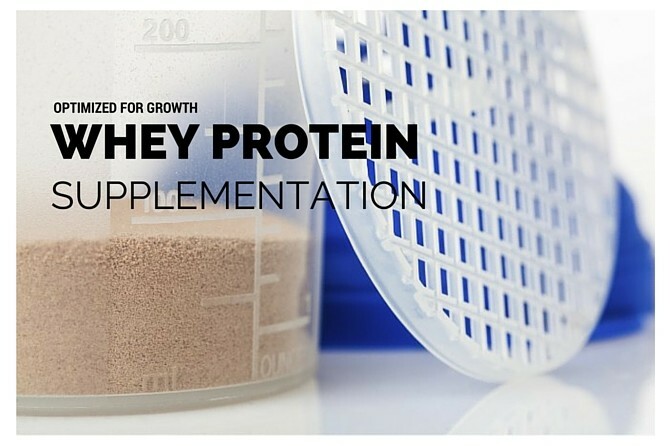 People get their hands on a protein powder but they don’t have a clue how to use it optimally. 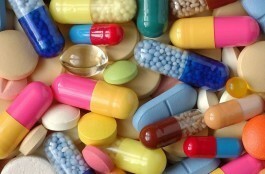 Most of the time people take way too much of the stuff, caught up in the “more is better” mind-set. The result of this overconsumption of protein powder can cause bloating and digestion problems, and is a big waste of money. If you’re unnecessarily downing 5 or 6 thick protein packed shakes a day then you’re going to go through an expensive tub of whey faster than a tub of icecream at a Weight Watchers meeting. So, in todays post I’m going to show you how to get the most out of your whey protein shakes by covering the best times to drink them, and the ideal amount to take… its less than you think! Before I get into the when, let’s talk about how much. Your muscles are in a constant state of synthesising and breaking down muscle proteins, only when protein synthesis exceeds breakdown can muscle growth occur. This state is called a positive protein balance and this is the process by which muscles grow. Weight training increases protein synthesis, but only if sufficient amino acids from the diet are present will synthesis exceed breakdown, resulting in muscle hypertrophy. Whey protein powder is a very high quality, high biological value protein source that is rich in these muscle building amino acids. So how much protein is optimal for muscle growth? Scientific studies have been conducted to find out how different doses of protein affect muscle protein synthesis levels. 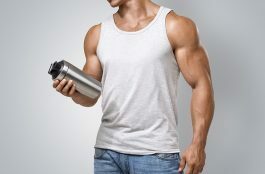 One such study conducted by the Exercise Metabolism Research Group, Department of Kinesiology, of McMaster University in Canada, had a group of young men perform intense resistance weight training and had them consume a whole egg protein drink containing varying doses (0, 5, 10, 20, or 40 grams of protein) post workout. The study found that maximal protein synthesis after training was achieved with around 20g of protein. 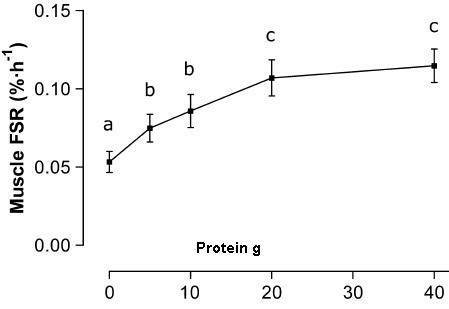 The difference between ingesting 20g and 40g was minimal, although there was a slight increase in protein synthesis between these two doses as seen in the graph below. A similar study conducted in the UK by the Health and Exercise Science Research Group, at the University of Stirling, used whey isolate to look at the growth of skeletal muscle in response to different doses of protein after resistance exercises. 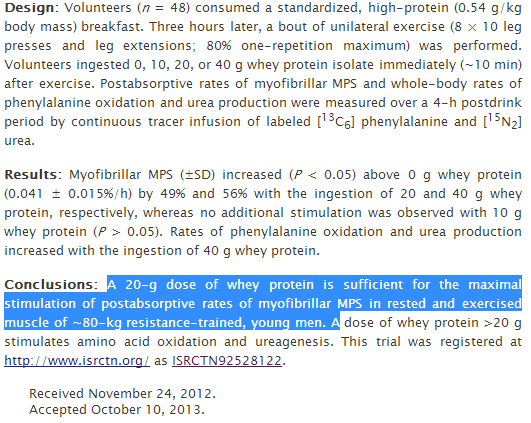 The same results were found, no substantial difference on post exercise protein synthesis rates between ingestion of 20 and 40 grams of whey protein. I know what some people are thinking at this point. That’s true, but what is also true is that pro bodybuilders are taking large amounts of anabolic steroids. Combine this steroid use with elite level training and there is a dramatic increase in protein synthesis, a much greater increase compared with natural lifters. Thus, the consumption of more protein is needed to meet this demand. As you can see from the research above, anywhere from 20 to 40 grams of whey protein is optimal to maximally stimulate muscle protein synthesis. So, if for example your whey protein supplement provides 16 grams of protein per scoop, you know that two scoops would provide an ideal dose of 32g and anything more is really a waste. I recommend shooting for at least 30 grams of protein in your shakes. It’s time to stop with the 4 – 5 scoop monster shakes. As these studies show, there is really no need to go much over 40 grams, even after working out. I don’t know about you, but I’m not a fan of cooking, especially first thing in the morning. It’s common to see bodybuilders cook egg dishes for breakfast. Things like omelette, scrambled eggs, poached eggs and boiled eggs are extremely high quality protein meals and make an ideal high protein breakfast. But for me, I want something faster and easier to prepare upon waking, and something that provides just as much high quality protein. A whey protein shake is the solution – it offers a fast, and delicious protein source at breakfast. First thing in the morning is one of the best times to drink a protein shake because you’ve been without food for 7 – 9 hours while you slept. To maintain a positive protein balance, it is crucial that you consume a large dose of protein first thing in the morning, and whey protein is the perfect source. A bowl of oats, shredded wheat or Granola with a protein shake makes a healthy muscle building breakfast. Drinking a whey protein shake before training can be beneficial, but is not “essential”. If you’ve eaten a whole food meal containing around 40g of protein at least 2 hours before training, then a pre-workout shake is not necessary. There will be sufficient nutrients circulating to fuel your workout, reduce muscle protein breakdown, and begin the stimulation of protein synthesis post workout. However, if you’re pushed for time and it’s been 3 hours or longer since your last meal, then drinking a protein shake just before your workout is recommended. When it comes to protein intake, there is no time more important than after your workout. Your workout will stimulate muscle protein synthesis AND muscle protein breakdown. 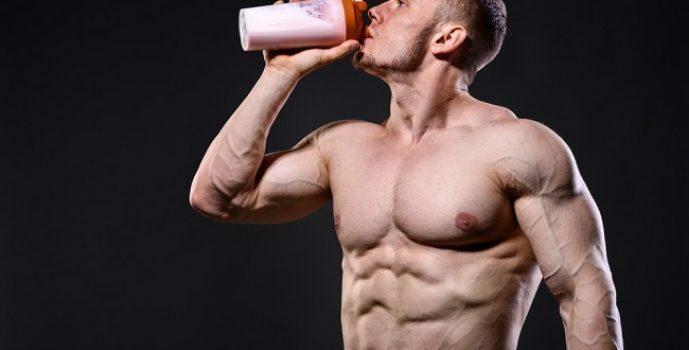 Without sufficient protein after training, protein synthesis will not exceed breakdown, the result being little to nothing in terms of muscle growth. Your pre and post workout meal, consumed around 4 hours apart will start the recovery and repair process after exercise. However, if your post workout meal is going to be consumed later than 2 hours after working out then I recommend the use of a whey protein shake, consumed as soon as your workout ends. It is best to eat whole healthy foods and vary your protein sources throughout the day. However, one or two of your daily meals can be a protein shake. If your schedule does not allow for you to eat a solid food meal at any point during the day, or you simply prefer the convenience of a liquid meal, then a protein shake would make a great substitute. Drinking a protein shake before bed is a good way to keep your muscles fed while you sleep. This is especially beneficial on training days, to stave off muscle protein breakdown and elevate protein synthesis. It’s a particularly good idea just before bed on training days to get the most protein synthesis over the 48 hour post workout period. If you choose to drink a shake before bed go with casein instead of whey. Casein protein turns to a gel like consistency when it hits the stomach. This dramatically reduces the digestion and absorption rate, resulting in a slow and steady release of muscle building amino acids into the bloodstream throughout the night. So there you have it, a quick guide on how much whey protein to take and the most optimal times of the day to drink them. You should only ever really need to drink 2 – 3 shakes per day. In the morning, post workout and at some point during the day as part of a meal.